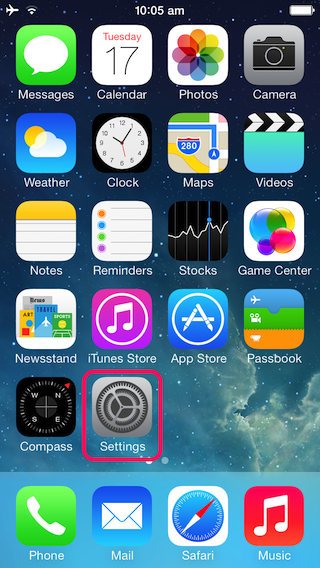 This tutorial shows you how to setup a Simplifying IT IMAP email address on your iPhone/iPad with the new iOS7 or later. STEP 4 - Scroll down and select ‘Other’. 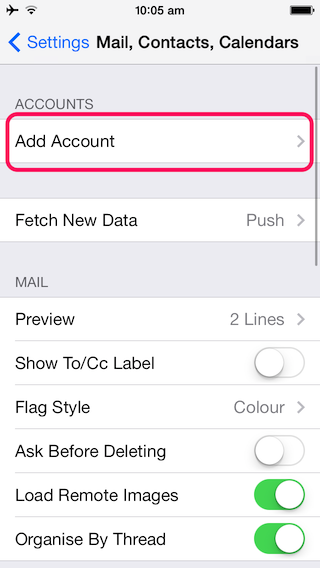 STEP 5 - Select ‘Add Mail Account’. 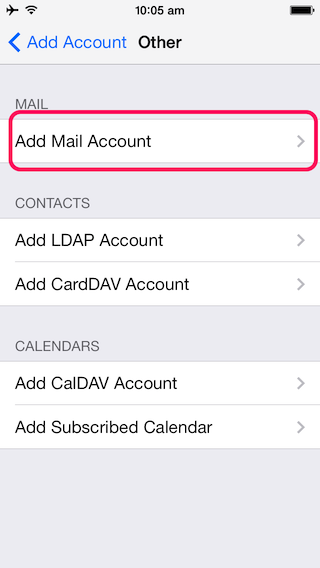 STEP 7 - Ensure IMAP is selected instead of POP (important). 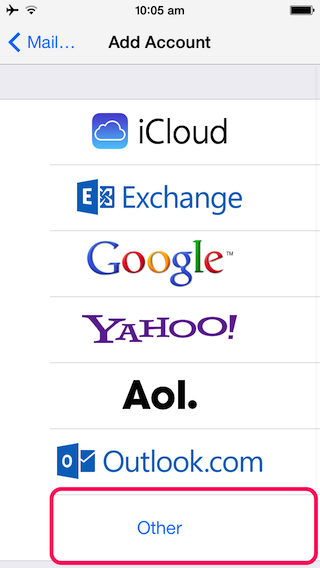 Scroll down and enter ‘Outgoing Mail Server’ settings. 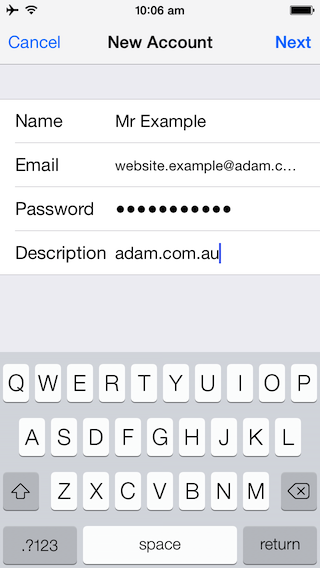 You should now see your new email account created in the list. To begin using your email, use the Mail app.